WDW Radio #5 – Disney Legend Charles Ridgway, Best of the Best and more! Disney Legend Charles Ridgway interview, News and Rumors, new resorts discussion with Cara Goldsbury, Best of the Best with Mike Scopa and more! 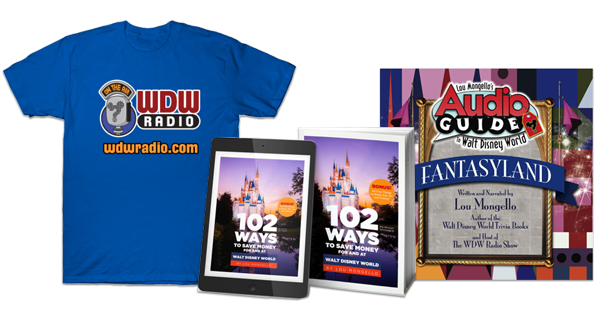 Welcome back to The WDW Radio Show â€“ Your Walt Disney World Information Station. Thanks for tuning in once again. This is Show #5 for the week of March 11, 2007. This week I’m back from WDW with a special treat – an exclusive interview with Disney Legend, author and recipient of his own window on Main Street, Charles Ridgway. I will also have News & Views from WDW and a visit to the Walt Disney World Rumor Mill which includes Pirates & Princesses, the Haunted Mansion and more. For these segments, I welcome my special guest Cara Goldsbury, author of the Luxury Guide to Walt Disney World to discuss some recent announcements from the Disney company that will forever change the landscape of the resort. Mike Scopa joins me as we answer another question about a Best of the Best at Walt Disney World in this somewhat extended show. Attention Disney cast members, past and present, Disney fans and Disney fanatics. This is your chance to meet a bona fide Disney Legend, whose intimate knowledge of Disney parks goes back to the days before Disneyland opened, when he talked a neighbor kid into sneaking under the fence as a publicity stunt for an article he was writing. To celebrate the publication of his new memoir, Spinning Disneyâ€™s World: Memories of a Magic Kingdom Press Agent, Charles Ridgway will make a series of public appearance across Central Florida in March and April. Charlie will be sharing his reminiscences of Walt and Roy, Michael Eisner and an all-star cast of movie stars, royalty, television personalities, and journalists, as well as the unsung cast members who make Disney magic every day. After serving as a publicist for Disney parks around the world for over 40 years, Charlie was a legend among journalists and public relations professions. In 1999, Disney made it OFFICIAL, proclaiming Charles Ridgway a â€œDisney Legendâ€ and according him the rare honor of his own window on Main Street, USA. At most of his bookstore talks, Charlie will be sharing seldom-seen archival photos of Disney history from his personal stash. These appearances offer a rare opportunity to learn the real story behind some persistent Disney folk tales and get answers to those questions about Disney history that have been nagging at you for years. 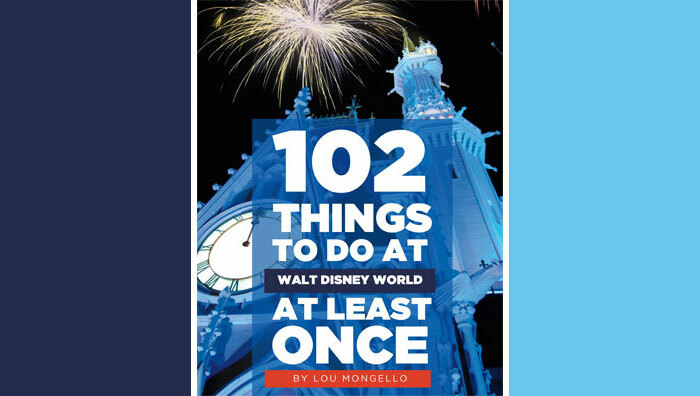 And donâ€™t forget to ask Charlie everyoneâ€™s favorite question, â€œWhat was Walt really like?â€ Spinning Disneyâ€™s World is published in hardcover by The Intrepid Traveler. It is available for sale and autographing at all of Charlieâ€™s appearances. Here is Charlieâ€™s appearance schedule, which is subject to change. Please call ahead for more information and directions to each event. Charlie will be signing books at the Bookendz booth. Thanks to Cara Goldsbury, author of the Luxury Guide to Walt Disney World for her insights into the new Four Seasons Resort scheduled to open at the Walt Disney World Resort in 2010. Visit MagicMeets.com for more information about Fred Block’s Northeast Disney Fan Meet 2007! July 14th, 2007, in Harrisburg, PA, from 11am to 6pm. Join us for a full day or speakers, presentations, Disney merchandise for sale, contests, a charity auction to benefit the Dream Team Project, games, prizes, kids room, and more surprises (like free Segway instruction and rides!) and lots more fun! SOLD OUT!! Click here to visit Deb’s personal page at AvonFoundation.com. Hey Lou! I just discovered your podcast on Monday, and I am working my way through from the beginning. I am absolutely loving it! It’s so fun to listen to speculation when you know what the outcome or a rumor is. I was wondering what your opinion is of the Laugh Floor now. My family loves it, and as a pin collector, I always hope that my Dad gets picked to be “that guy” so we can get the pin! I’m 21 and live with my parents while on co-op, and I sometimes greet them with a “hello humans!” in the morning. We love the attraction, just wondering if you did too! Great interview with Charles Ridgway. Those old stories are absolutely priceless!!! So interesting to listen AND learn from. The Disney Legend interviews are probably a top 5 favorite regarding categories of the WDW Radio Show to listen to (over and over). Keep it up Lou! I’m listening.